As some of you know, I am reissuing four of my books since cutting my ties with my former publisher. Until today, I have refrained from saying why I got my book rights back, but I can no longer be silent. 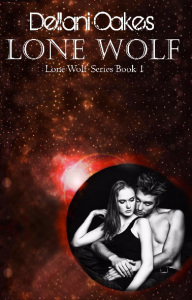 Lone Wolf is book one in my sci-fi series and it’s coming back again in June 2016. Look for it with its brand new cover! As she followed Marc to the docking bay where the ship was locking on, she noticed he was armed. The energy weapon he wore was hardly standard Guild issue. On the maximum setting, it could take down a 300 pound man, putting a sizable hole in him. “Expecting an army? You can kill a xar beast with one of those.” She was a little surprised when he handed her one as well.